The new Baca Office is almost complete. 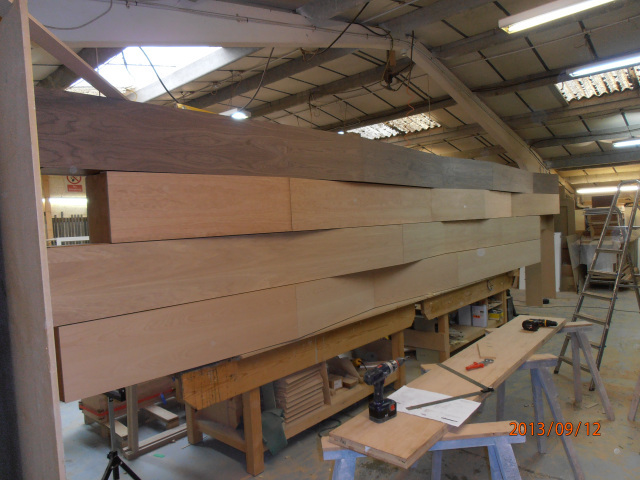 The final faceted joinery (pictured) is almost ready to be installed. It will show off a range of timber finishes that clients can consider for their designs and of course it creates a playful finish to hide all of our copious files. It is a good example of prefabricated components being used to best effect. We look forward to showing our clients around when it is all finished.